I teach at a Seminary and break time usually means busy restroom time. 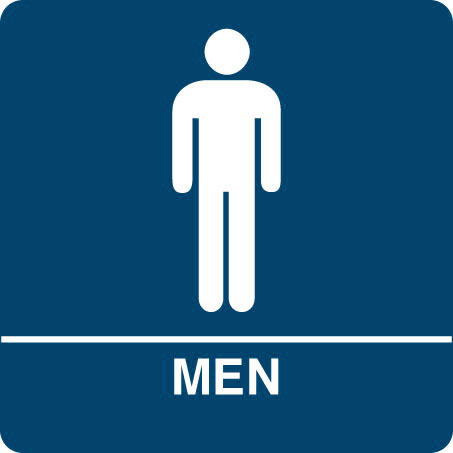 The men’s restroom on the main floor is small, one toilet and two urinals. Cozy. As I was finishing up another man cozied up next to me and started to use the facility. Now, there is an unwritten man-law that you don’t do that. You don’t pee side-by-side if there are other possibilities. So I was a bit unsettled. But not as much as when he started up a conversation, mid-pee! That’s just weird. By his accent I could tell he was from another country, so I was polite. As I was washing up I asked if he was a student. He was and he was from Egypt. I continued the conversation and said I understood that Christians were being persecuted there. He told me how horrible the murders were and that he was a refuge from the violence. His son and wife were still in Egypt and needed to get out. He had just shared something very personal and filled with need. The nice Canadian part of me wanted to say, “Wow, that’s too bad, I will pray for that.” The truth of the matter is that I would feel for him but not pray. I listened the Spirit instead. I placed my newly washed hand on his shoulder and prayed that his wife and son would be set free. I prayed with all my heart for a man I had known only five minutes in a washroom, because we were brothers. He thanked me and we both moved on to our respective classes. I called after him as he was walking away that I would pray for his family when I saw him in the hallway, and I did. Three weeks later my Egyptian friend comes running over to me. He yells a bit too loud that he has been looking for me for weeks now. “How is your family?” I ask. He then looked intently at me so I would get the import of his words. “They got their visas three weeks ago. They stayed late into the night at the Canadian consulate to be able to receive their visas. I checked the time and the very time we were praying in the washroom, their visas were approved!” He gives me a huge hug, as if I had something to do with their release. We part ways and I am left thinking. God could have awarded them their visas at any time. Yet, The Almighty wanted to show my Egyptian friend that it was a miracle – it was God’s doing in God’s timing. A prayer in a washroom! I never find stopping and praying right away with people super easy. They are usually surprised. They wonder if they are supposed to pray too. However, I do it again and again. I pray right away. I think I do this because I actually pray instead of intending to pray. Plus, I model the ease of talking to my Lord and the memory of the actual prayer lasts in people’s minds. God often wants to show me he is very involved in the timing of “coincidences.” It is for his glory.